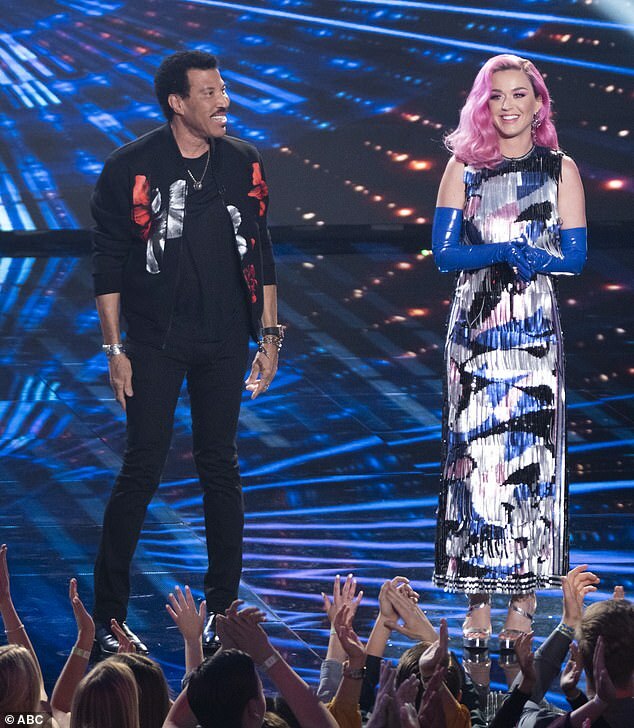 American Idol judge Katy Perry rocked a pink wig, just like her early aughts heyday, for the ABC singing competition’s Top 10 reveal on Monday night. 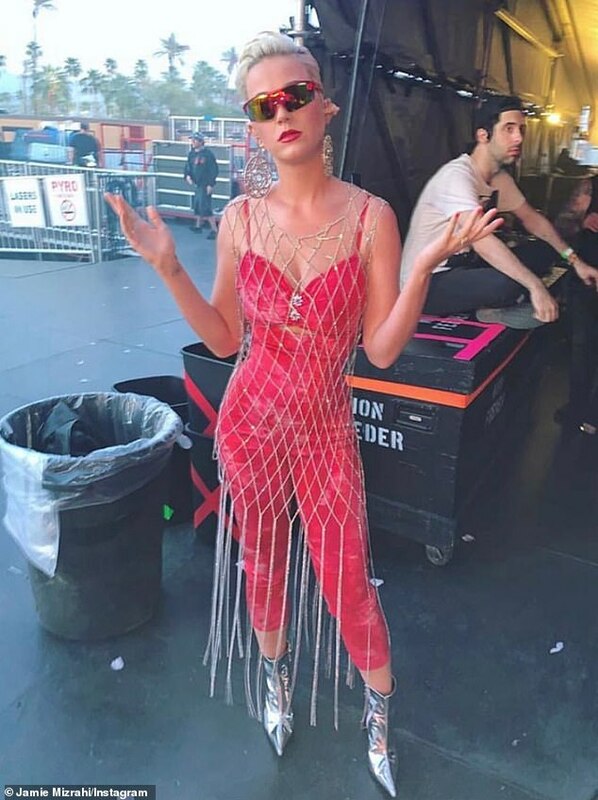 The 34-year-old pop diva glimmered in a silver sequin Pucci dress, blue PVC opera gloves, Lady Grey earrings, and silver Escada platform heels selected by stylist Jamie Mizrahi. Hairstylist Chris Appleton coiffed the dark-rooted hairpiece, which covered the 13-time Grammy nominee’s platinum pixie cut. 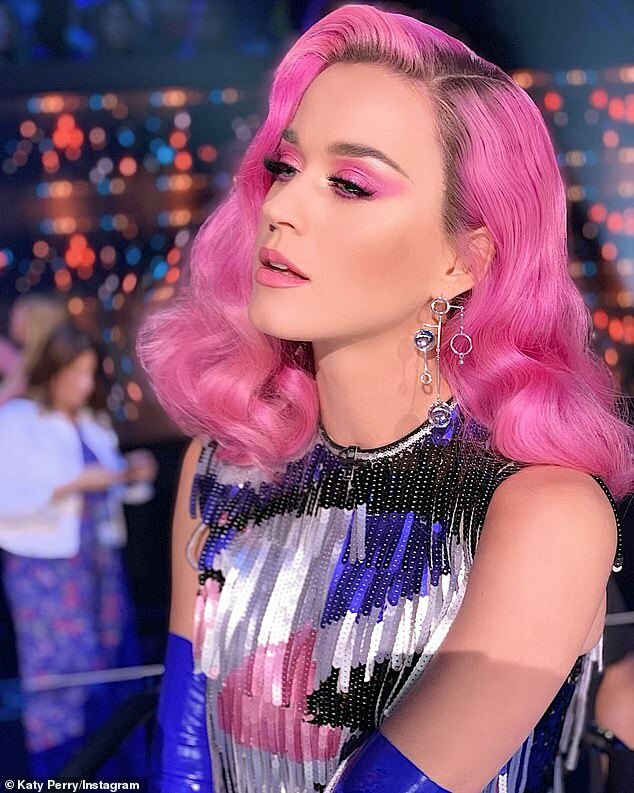 And make-up artist Michael Anthony matched Perry’s pout and edgy eye shadow with the wavy, shoulder-length wig. 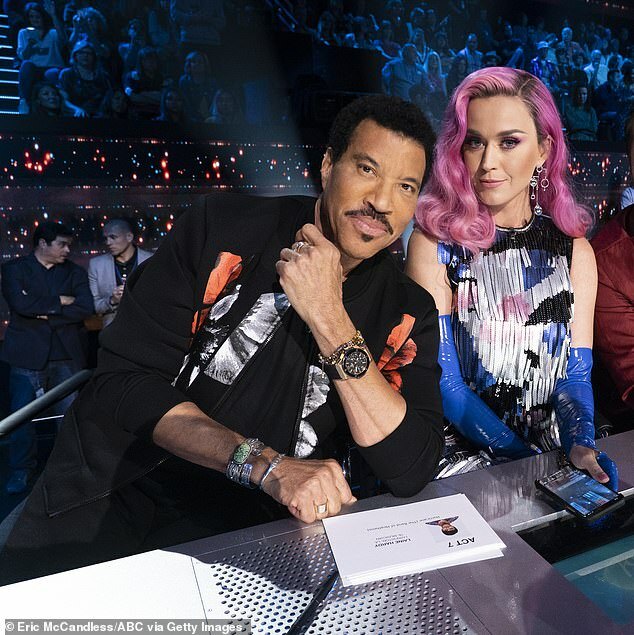 According to TMZ, Katy (born Katheryn Hudson) earns $25M to judge the reboot of the formerly Fox singing competition alongside judges Luke Bryan and Lionel Richie. 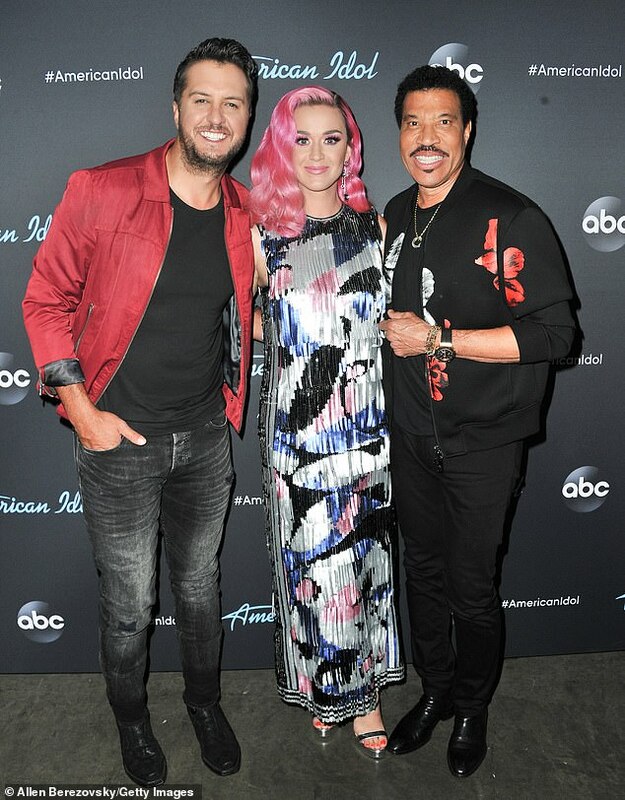 ‘By the way, I don’t mind that,’ Richie told Live With Kelly and Ryan in March. 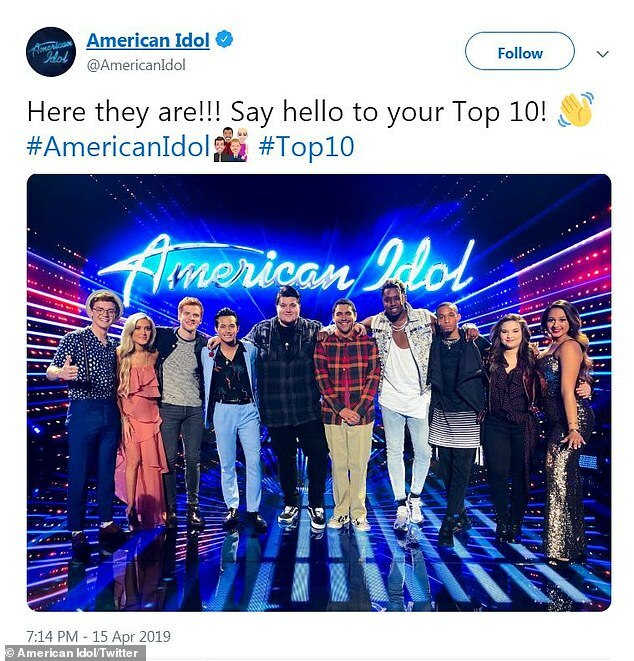 On Monday, the judges narrowed the contestants down to 10 – Walker Burroughs, Laci Kaye Booth, Jeremiah Lloyd Harmon, Laine Hardy, Wade Cota, Alejandro Aranda, Uché, Dimitrius Graham, Madison Vandenburg, and Alyssa Raghu. 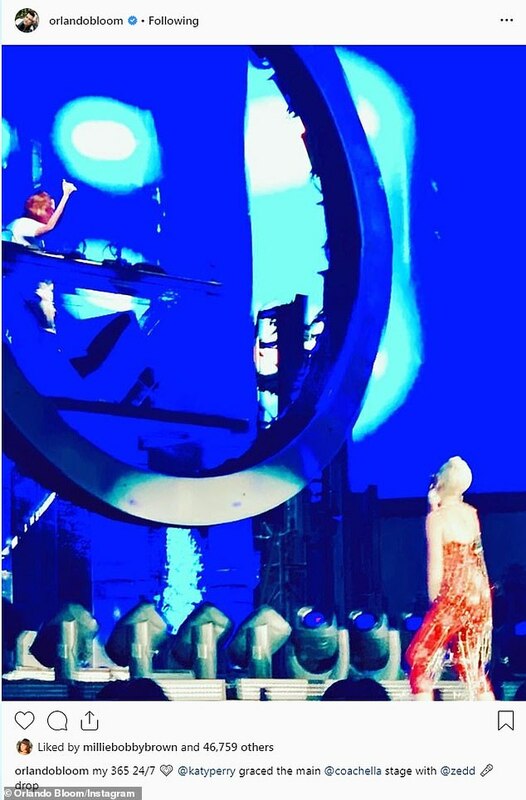 Perry’s televised appearance came less than 24 hours after she surprised the Coachella crowd in Indio by performing her new single 365 during Zedd’s headlining DJ set. 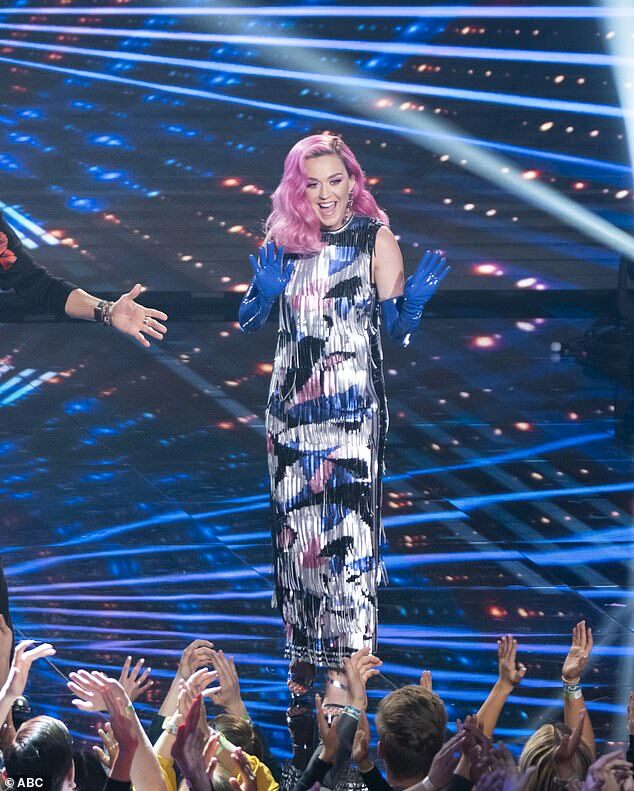 Katy wore head-to-toe AREA Custom – Shibori tie-dyed jumpsuit with crystal net smock, and earrings from the Manhattan label’s fall collection. The on/off couple – who were first linked in January 2016 – rekindled their romance last year after ‘taking a respectful, loving space’ apart from each other in February 2017. It will also be the second time down the aisle for both as Bloom divorced Australian model Miranda Kerr in 2013 and Perry divorced English comedian Russell Brand in 2012. 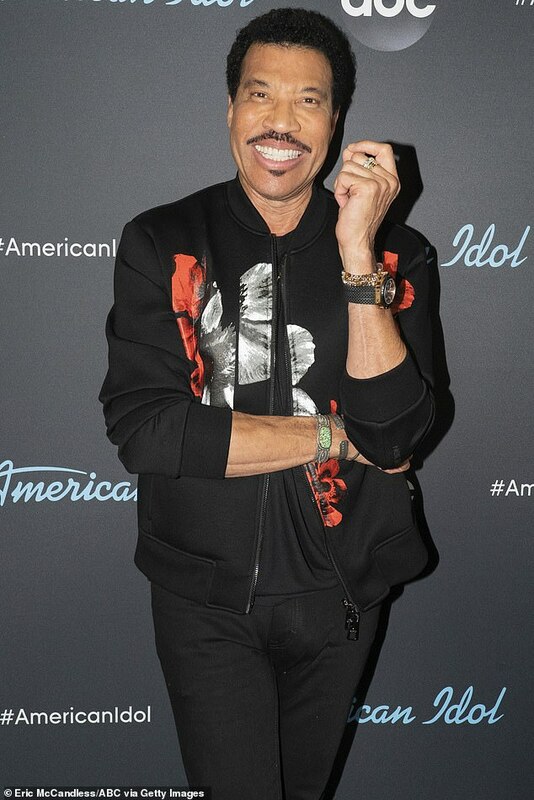 Meanwhile, Lionel looked dapper on the post-show red carpet in a black floral Neil Barrett bomber, matching T-shirt, and jeans selected by his stylist David Thomas. 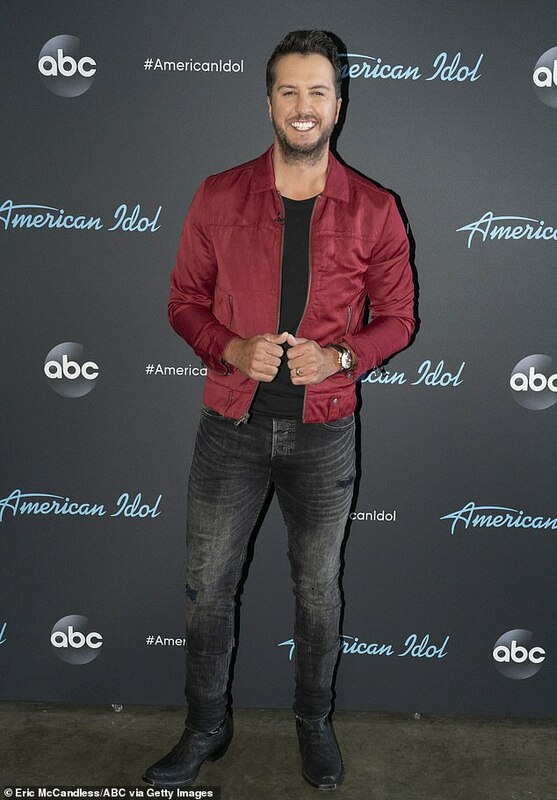 The 42-year-old country crooner coordinated with the All Night Long hitmaker in a black T-shirt, jeans, and a red jacket selected by stylist Lee W. Moore. 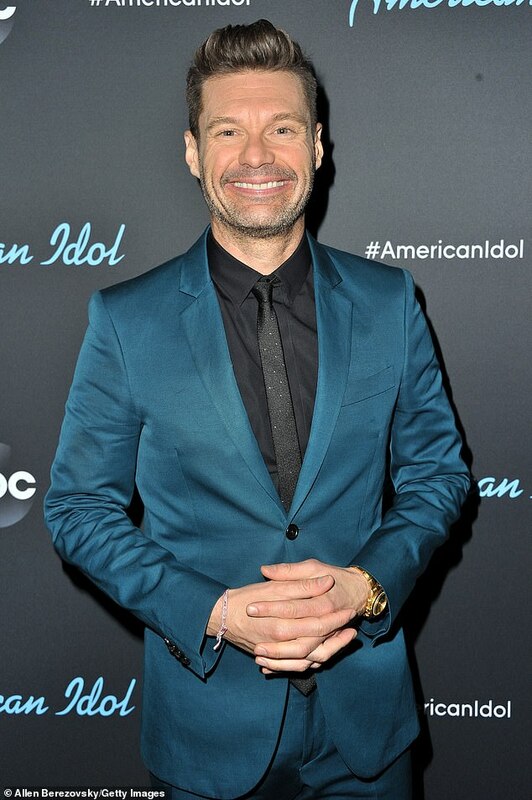 Longtime American Idol host Ryan Seacrest was most likely decked out in a teal suit from his own label, RS Distinction.